The idea of the w o o d p o p surfboard was born one Summer in Ireland 4 years ago after seeing someone surfing a wooden board. Marquetry was my medium and here, for me, was the ultimate canvas upon which to apply it. My interest was further piqued when my research showed that no one else seemed to have attempted it. So into the workshop we went where it soon became apparent why this was the case. 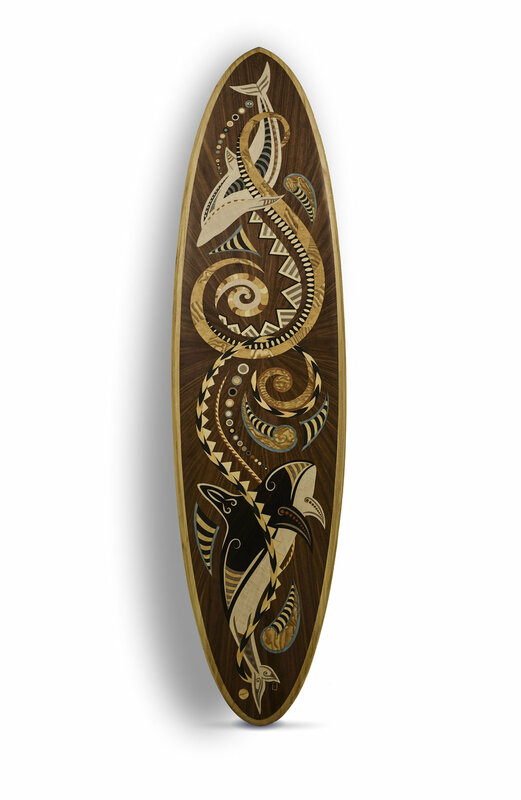 The surface of a surfboard is made up of compound curves which does not lend itself to the application of veneer and marquetry is not a medium able to withstand the kinds of stresses as encountered by a normal surfboard i.e. sudden changes of temperature and regular poundings. 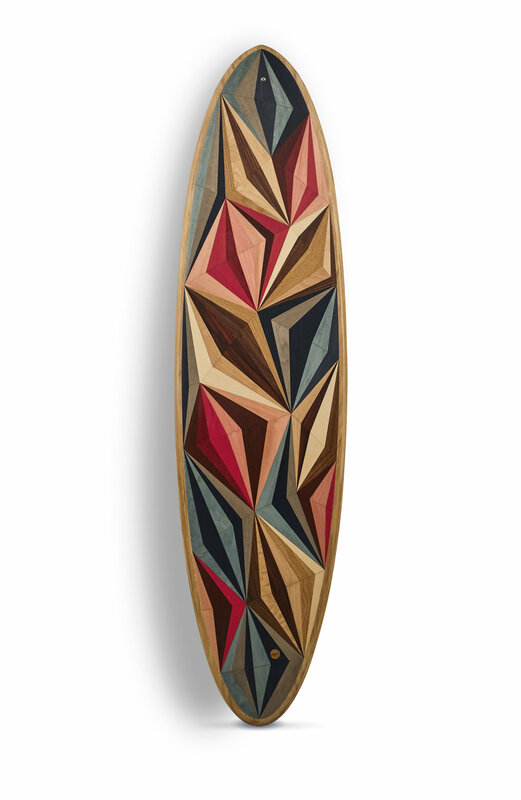 It took two years of research and experimentation to develop the processes which have since enabled us to successfully apply a full-scale marquetry artwork to a functioning surfboard. w o o d p o p surfboards are hollow, skin and frame wooden boards made from timber sourced from sustainably managed forests. Bio-resins are used instead of harmful epoxy resins and each one features a metal leash-plug and a glassed-in wooden fin thereby avoiding any plastic fittings. The majority of the boards are shaped by Paul Reisberg at Arbo Surfboards; master shipwright on the Royal Barge and all round genius craftsman which means that they also offer optimum performance in the water. Each surfboard we make is meticulously hand-crafted and no design is ever repeated ensuring every surfboard is a unique piece of art. To support a cause close to our heart - we are giving away a percentage of the sale of each surfboard to Surfers Against Sewage whose plastic free agenda resonates with our own.